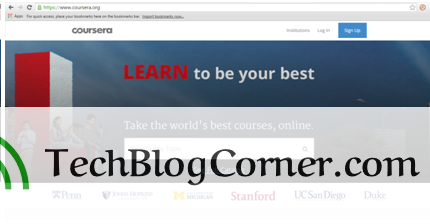 Coursera.org is a commercial concern that offers Free Massive Open Online Courses (MOOC’s). It works in conjunction with Universities across the globe along with other educational institutes to offer courses in subjects ranging from physics and engineering to humanities, medicine and business. Given below is its homepage. With enrolment of more than 1 million students and 124 courses across 17 categories, Coursera is the largest of massive open online course (MOOC) education sites. Here’s the thing, while some courses on Courses on coursera are free, others are paid for. Pay between $30-$100 And if you want a certification then you have to pay a little extra. It has tie ups with many Universities such as John Hopkins and Stanford to carry out courses. Coursera Machine learning course is one of the most acclaimed courses on here along with Coursera digital marketing and Coursera Payton. 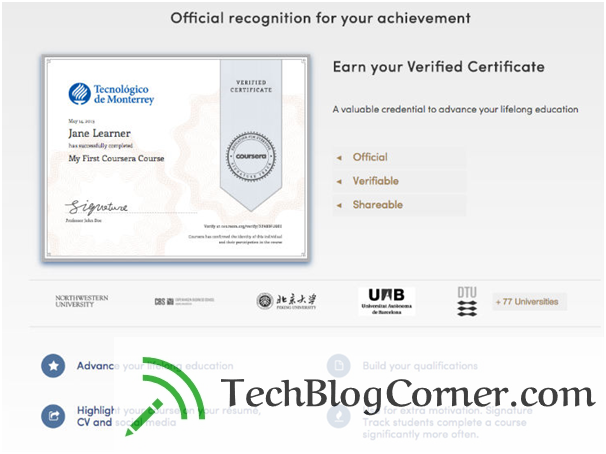 When it comes to free online website courses Coursera is reviewed. Machine Learning from Stanford University – one of the most popular courses on Coursera. Hadoop Platform and Application Framework from UCSD – one of the most popular courses on Coursera. Each course includes short video lectures on different topics and assignments to be submitted, usually on a weekly basis. Coursera courses last approximately four to ten weeks, with one to two hours of video lectures a week. These courses provide quizzes, weekly exercises, peer-graded assignments, and sometimes a final project or exam. Courses are also provided on-demand, in which case users can take their time in completing the course with all of the material available at once. Coursera also offers “specializations” Specializations provide value addition just like verified certification for any topic. Coursera offers precise syllabi, quizzes, short essays and deadlines. Most courses offer video lectures that clock in at about two hours per week. 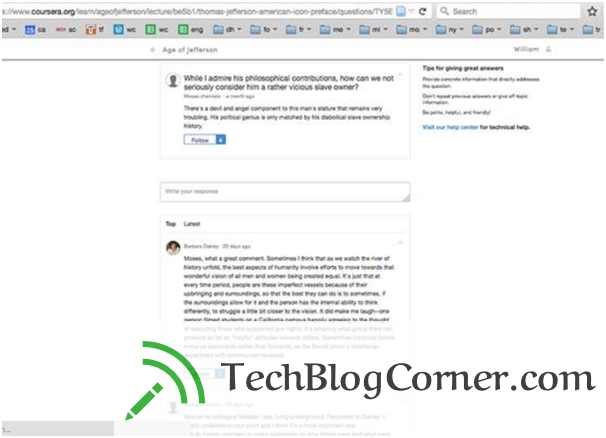 The essays are very short (keep your answers within 240-320 words), given below is a screengrab of a discussion board followed by a video lecture. Grading of quizzes and essays, as well as feedback from professors, is given along with peer grading and also automated computer grading for simple tests. Given below is a verified certificate you will gain after going for a certification. Coursera India is growing in leaps and bounds due to the latest awareness in Elearning and online education. If you require detailed knowledge of a particular subject you can also apply for a specialization course here on Coursera. 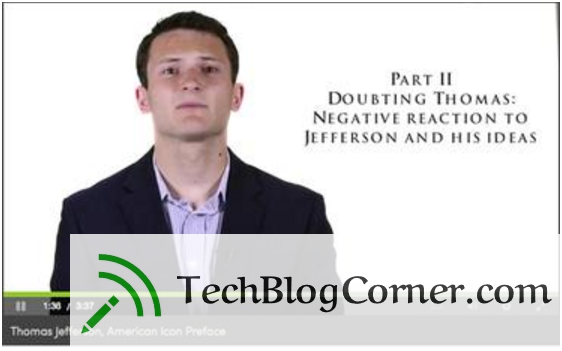 R Programming from Johns Hopkins University – one of the most popular courses on Coursera. Coursera and University of Illinois at Urbana-Champaign have partnered to offer a business degree that will be available to anyone. The cost of this degree is a fraction of the cost of a conventional Business degree. While people having a Coursera verified certificate have an edge over people without any experience or education in their field of work or interest, the certificate does not entitle you to immediately get high paying jobs with six figure incomes! The function of this certificate is as a good start to acquisition of a specific set of skills and training required for getting that dream job of yours. If you are in the interview hall with a bunch of managers sitting on the fence about your employment, this particular certificate or a degree from courser will help them choose you as their immediate choice over others for a particular coveted job position. It is extremely User Friendly. Coursera review on several sites state its flexibility as the biggest asset. That being said, the timely manner in which the course itself starts off, giving 3 weeks’ time to the user to start the course is useful. It has provisions for students who cannot afford the cost of a paid course or verification will be sponsored by the site itself. Automated computer grading for elementary tests in the course early on saves a lot of time for the students who are applying for these courses to gain their certification. For difficult grading in the case of subjective tests such as poetry writing cannot support automated grading by computers and are redirected to peers for review. There is a provision for students to meet up for healthy debates while taking up a common course. This can be done through an app called meet up. Face to face interaction is always valued over all other forms of electronic communication or interaction. 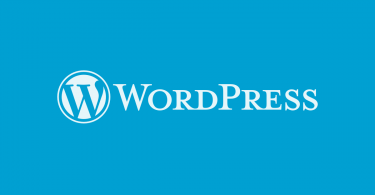 And this human element will help increase the popularity of this site. The association with universities abroad such as Stanford and the John Hopkins assure quality candidates and talent that are attracted by this company. The association with these branded Institutions brings up better quality learning in terms of content and test papers for certification. It has a specially designed ID technique called keystroke biometrics which measures your typing style counting the rate of keystrokes hit per minute and the way it is pressed. This forms a sort of Bio pattern of keystroke entry. While Coursera is mostly good for young people wanting quick skill or knowledge upgrades, it is also riddled with slight in efficiencies. For example if your assignment is up for peer review there s a good chance it may be assessed with bias that you did not deserve. Since this is human assessment of test papers, people tend to factor in emotion in grading papers leading to your grade being affected. Another thing to watch out for that is quite bad here is the rampant plagiarism that will come across, that too when you are grading other people’s papers, you may come across your own content imbibed in their answers. This will affect your grade indirectly since some students may depend on pre written content from others as preparation which may be used as starting source material. Be sure to keep plagiarism at bay.